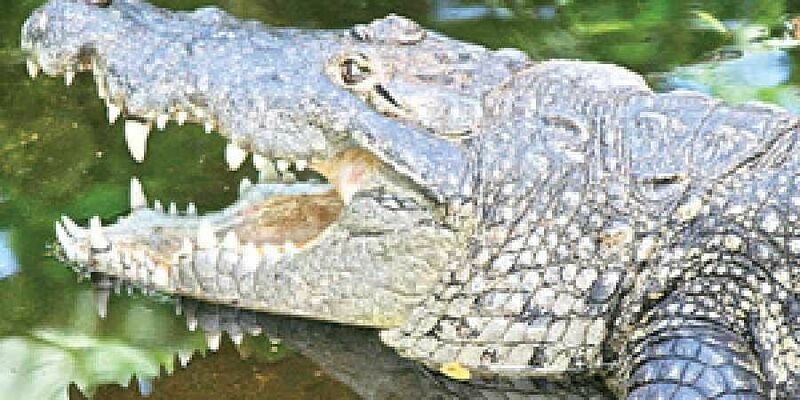 A man survived a crocodile attack at the Kali river in Dandeli town on Friday. He escaped with minor injuries, but was unconscious when he was rescued by a water adventure sports team. KARWAR: A man survived a crocodile attack at the Kali river in Dandeli town on Friday. He escaped with minor injuries but was unconscious when he was rescued by a water adventure sports team. According to the police, the survivor has been identified as 43-year-old Nagesh Ballari, a resident of Nirmal Nagar. He has now been shifted to SDM Hospital in Dharwad, after receiving first aid at Dandeli government hospital. According to the police, Nagesh, who works as a daily wage labourer, had gone to the river with his wife and son. While swimming, he is said to have been dragged by a crocodile. His family, who were washing clothes on the bank, noticed and shouted for help.